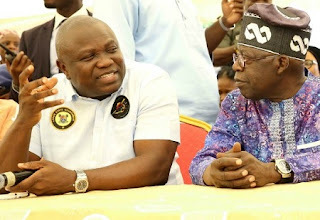 The revered cleric and the General Overseer of the Redeemed Christian Church of God, RCCG, Pastor Enoch Adejare Adeboye has intervened on behalf of the embattled Lagos State Governor Akinwunmi Ambode who is facing a re-election crisis. Thursday night that the respected cleric called the former governor of Lagos, Asiwaju Bola Tinubu to reconsider his estranged godson for second term but Tinubu with courtesy and uttermost respect explained why his hands are tied on the matter to the influential pastor. Tinubu was quoted to have told Adeboye that he wanted to obliterate the impression that he was a dictator and emperor who hand-picked and decided candidates for the people, therefore he decided to allow everyone to go to the field and prove their popularity. “ Sir, people have been accusing me of imposition. They say I imposed candidates at will. That is why I said all aspirants including the governor to get to the field and test their popularity among the people in an open contest of direct primaries. Sir, my hands are tied on this matter, I cannot ask those who have picked expression of interest and nomination forms to withdraw or not to contest. That will be greatly unfair. We will ensure a level-playing ground for all governorship aspirants including the incumbent governor, Tinubu told Adeboye on the phone.